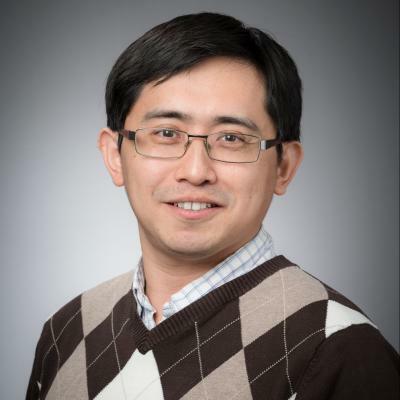 Dr. Geng is currently teaching Molecular Biology, Biochemistry, Immunology and Virology, Genomics and Proteomics at W.Booth School of Engineering Practice and Technology. From 2012 to 2013, Dr. Geng was part of SGS Life Sciences as a scientist in Biotechnology. He has in-depth knowledge of pharmaceutical industry guidelines such as Good Manufacturing Practice (GMP) and healthcare compliance policies. Dr. Geng specializes in the research areas of cancer biology, biochemistry and cell biology. Dr. Geng graduated from Jining Medical College in China in 2001. As he practised clinical medicine as an intern, Dr. Geng realized the lack of effective therapy for diseases such as cancer and thus decided to develop his career into the basic research on cancer therapeutics. In 2004, Dr. Geng received his masters degree in Biochemistry at Fudan University and successfully discovered the prognostic biomarker for lung cancer patients based upon the results from the biochemical studies as well as the statistical analysis of clinical studies. In 2004, Dr. Geng came to Canada and started his PhD studies on the molecular mechanisms of breast cancer cell death under the supervision of Dr. David Andrews and Dr. Brian Leber in Department of Biochemistry and Biomedical Sciences at McMaster University. During his PhD studies, Dr. Geng discovered a novel cancer cell death signaling pathway, which could be utilized to treat the recurrent breast cancer that is resistant to chemotherapy. In May 2013, Dr. Geng joined the Bachelor of Technology Program as Assistant Professor. Dr. Geng conducted the analytical method development and method validation involved in protein drug development. Fei is the member of American Society of Cell Biology (ASCB) and American Association of Cancer Research (AACR). Biochemistry and biotechnology; amino acids, nucleotides, nucleic acids, proteins, peptides, enzymes, carbohydrates, lipids, membranes and their functions, metabolism, gene expression and DNA. Prerequisite(s): BIOTECH 2OC3, and registration in level II or above of the Biotechnology program. Principles of molecular biology that form the basis nucleic acid and protein based methodologies. DNA replication, repair and recombination; bacterial and eukaryotic transcription and RNA processing; translation; and regulation of gene expression. Prerequisite(s): ENGTECH 1BI3, 1CH3, and registration in level II or above of the Biotechnology program. Structure and function of antibodies, antibody diversity and interactions, immune system and immunity, immunological responses to disease, antibodies production and applications, structure of viruses, methods to study viruses, virus transcriptions and interactions. Prerequisite(s): BIOTECH 2MB3 and registration in level III or above of the Biotechnology program. This course examines genomics, functional genomics and proteomics. Topics covered are the organization of model system genomes, gene expression profiling at the mRNA and protein levels, microarrays, analyses of interactions, genomic and proteomic databases. Prerequisite(s): BIOTECH 2M03, 3B03, and registration in level IV of the Biotechnology program. This course requires students to research, design, develop, and implement an independent project. The project plan and a model developed will be documented as a technical report and presented in a seminar. Prerequisite(s): BIOTECH 3BP3, 3FM3, 3FR3, 3PM3,, GENTECH 3MT3, and registration in level IV of the Biotechnology program. This course is a continuation of Technical Project I and it requires the students to conduct further research, modify/refine the project design, develop, and implement the independent project proposal submitted as a part of the Technical Project I course. The project will be documented as a technical report and presented in a seminar. Prerequisite(s): BIOTECH 4BL3, 4BM3, 4GP3, 4TR1,; ENGTECH 4EE0, and registration in level IV of the Biotechnology program.